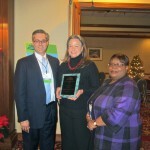 MCHC is proud to announce that the National Rural Health Association presented Susan Kunz, MCHC’s Director of Health and Wellness, with the first-ever Rosemary McKenzie Legacy Award during a recent meeting in Asheville, N.C.
Ms. Kunz was applauded by the NRHA for securing funds to improve rural health access for multiracial and multicultural populations, as well as her history of mobilizing partnerships to improve rural health care access. 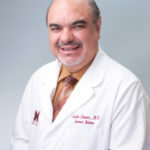 The Arizona Chapter of the American College of Physicians named Dr. Eladio Pereira its “Leader of the Year” during a ceremony on November 17, 2012. The award is presented annually to a physican in Arizona for excellence in the practice of internal medicine and the demontration of vision and leadership in the implementation of creative solutions to health care issues. 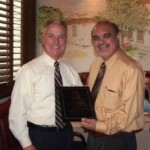 July 1, 2011 marked Dr. Pereira’s 25th anniversary at Mariposa. To recognize Dr. Pereira for his countless contributions to Mariposa, our patients and community, a reception was held in his honor. 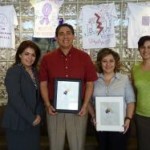 Mariposa’s Board of Directors, providers and leadership team gathered to honor “Dr. P” and express their collective appreciation for his dedication, leadership and service. Dr. Pereira was the first physician recruited after Mariposa became a private non-profit corporation in 1985 and was the anchor and drive behind the Health Center’s growing adult medicine department. Dr. Pereira’s leadership and respect in the medical community were well established when in 1998 he accepted the extremely challenging position of Chief of Medical Staff and Clinical Programs. Dr. Pereira has bridged the disciplines of clinical medicine and management and has been a critical member of the Leadership Team. On Friday, May 27th, the Arizona-Mexico Commission presented Mariposa Community Health Center with the annual Senator Andy Nichols MD Award. This award is in recognition of Dr. Nichols’ contributions to improve the quality of life in the Arizona – Mexico border region. 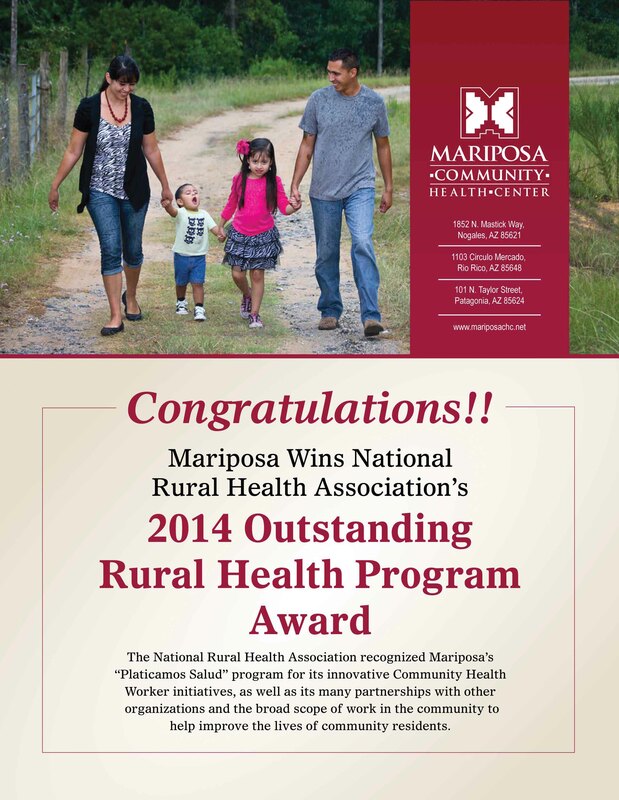 Mariposa was recognized for our commitment to excellence in health care. 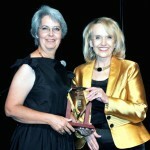 Molly Anderson, MD, a Nichols family friend, received the award from Governor Brewer on behalf of Mariposa. Ms. Susan Kunz, Director of Platicamos Salud, MCHC Health Promotion and Disease Prevention Program and Vice Chair of the National Community Committee, was recently awarded The Community-Based Participatory Research Best Practices Award on behalf of the University of Arizona Prevention Research Center. 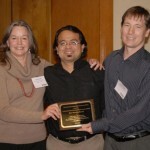 November 2010 – Mariposa Community Health Center’s Medical Director, Eladio Pereira, MD, MBA, FACP, received the prestigious Outstanding Preceptor of the Year Award. June 2010 – Dr. Joel Block, Family Practice physician at our Nogales center, was selected by Carondelet Health Network as the winner of the 2010 Carondelet Network Mission Award in the category of Physician Commitment. Mariposa Community Health Center was one of the first three organizations in the nation to be named by the federal Department of Health and Human Services as a Community Center of Excellence in Women’s Health (CCOE) The Mariposa CCOE facilitates women-focused care and educates patients and the community on women’s health issues. Leadership training and learning opportunities for women are also provided which empowers them to be proactive and informed with regard to health and well being. In 2004, we were awarded the Preceptor Site of the Year for exemplary performance and support of the Arizona SEARCH program by the Arizona Association of Community Health Centers. SEARCH provides opportunities for health profession students and physician residents to serve in interdisciplinary primary health care teams at community health centers. The program encourages those same providers to work in underserved communities after completion of their training.